Kemi Alla got CBN/NYSC Ventures Award – A Grant of ₦150,000 during her service year and got another ₦10million to start her business after service. She will be showing secret of how to apply and get grant for your business or project on Sat. 26th January, 2019. You know, we have been talking about how to get loan without collateral and with the Loan Mentorship Forum (LMF), the members are now processing their desired loans. If you really want to get exposed to various loans, how to apply for them, how to escape the hurdles that moneylenders often use to disqualify loan applicants, LMF if where you want to be. What is done at the forum goes beyond theory. With LMF, you can achieve your purpose of getting that money for your business or personal project. But as you know, loan is not your own, you need to return it, though, it could be the lifeline you need to move forward whenever you find yourself in a financial tight corner. That is why it is important for you to have this knowledge at this time. 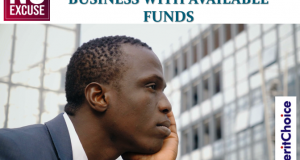 Fortunately, most of the loans that are presently being discussed at the forum don’t require collateral even if you need as much as N5million naira. Can you believe that? While Jumoke Amoo continues to help in the area of getting quick loan without collateral, Kemi Alla decides to show others how to land a genuine grant. Unlike loan, grant is like free money for you to do your business or handle a project and you are not expected to pay back except for some few monitoring that may be involved from the giver of the grant to ensure you use the money for the right reason. Please, note that we are not talking of fake grants that are now being paraded these days where you get a form for N2,500.00 or N5,000.00 and they promise you grant without date. No, this is not Ishiba grant as I believe most of you might be aware of that grant that has been circulating for about 3 years or thereabout now without a single person getting any thing. Grant is real and it is often sponsored by organisations or bodies that have interest in a particular kind of project or business based on their ideas that such project or business will help an individual, improve lives or create development. Kemi Alla is a past winner of grants herself. 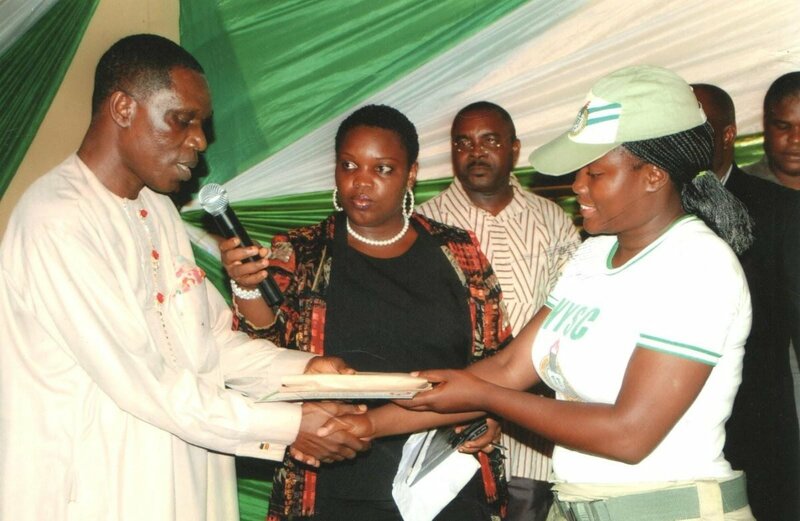 She won N150,000.00 grant when she was serving as a youth corper in Balyesa and won another N10million naira to start her business. She helps individuals to package business plans to apply for grant. She also trains people on how to get grant. 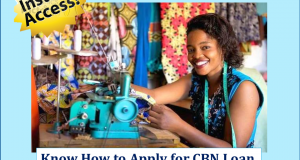 It is not surprising that she charges as much as N25,000.00 to train people on How To Apply and Secure Grant for Your Business or Project. But having being one of my proteges for a very long time, I was able to persuade her to drop the training fee and give back to our subscribers. Therefore, she will be coming on our training platform this coming Saturday, 26th January, 2019 to enlighten people about grant and also assist those that are interested in applying for a grant that is currently available. Let me tell you that grant is free and you don’t need to pay to apply. But sometimes, the requirements involved are always technical and you may need expert or a consultant to help you out with some of requirment. Therefore, this Saturday, Kemi Alla will be introducing a grant and she will be ready to assist anyone that will like to apply for the grant with a token of N10,000.00. You don’t need to prepay for this and it is not compulsory to apply. But it is good for you to come for the training, listen to her and make up your mind if you will like to apply for the grant. There are other genuine grants she will also discuss with you. In case you may fall in love with the grant she will be talking about this Saturday, it will be smart for you to prepare to participate. 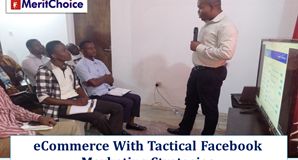 You are also expected to come with your business plan if you have one. Most grants require that you have business plan. If you don’t have, you will also learn how you can get a viable one. You may also come with your laptop or tablet and internet connection to be able to fill the existing grant she will be recommending. It is online. The real grants are always in the open domain. No secrecy. Don’t forget, we will also be introducing you to how to get loan on the same day. We are having another Loan Mentorship Forum meeting this Saturday. If you want to be a member, the membership fee is just N5,500.00. Jumoke Amoo will also be around. It will be a double dose of knowledge. I can assure you that this weekend, you will understand and know what is suitable for you, whether it is loan or grant. Make it a date with us. Venue: White House, #90B, Okota Road, Opposite Abbey Mortgage Bank, Near Chemist Bus Stop, Isolo, Lagos. Now that we will be expecting a lot of people at the seminar, it is wise to secure your seat right away. We will send a seat number to your email and probably your phone. That will be the seat you will be seating on. It is therefore advisable that you register immediately as you are seeing this message. I want to make sure that everyone that comes to our training this Saturday goes back home with excutive cab with AC without paying a kobo for it immediately we are through with the training. So, get set to get a free ride that worth N2,500 to any location in Lagos. Even if you come with your car, you may still be able to use the free ride voucher anytime you wantit. What you need is your Android phone and ATM card. No, your ATM card will not be charged but will be needed to setup your free ride. You will get the full info when you come around. Then, I will show you how you too can be getting free ride every time to any place of your choice with this executive cab and courteous driver without paying any kobo as you cruise round the town. It sounds strange and unbelievable, right? Just be around this Saturday, you will personally experience what I am talking about. Next: Grant and Loan Applications In Progress – Are You Interested?